The title of this post may have my readers scratching their heads. 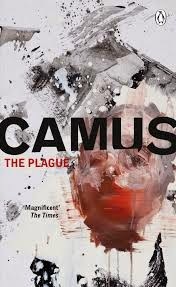 After all, what on Earth can Albert Camus’s The Plague have in common with the works of Charles Dickens? Usually Camus is compared with such existentialist thinkers such as Søren Kierkegaard and Jean-Paul Charles Sartre. Stepping outside what is usually considered existentialist theory will, I think, yield some surprises. In my opinion, there are important and significant similarities and, of course, differences between the ideas expressed in The Plague and the worldview of Dickens. 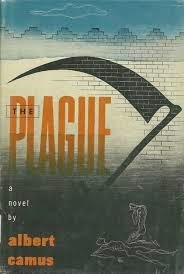 One of the primary themes of Albert Camus’s The Plague is the fight against human suffering and the sacrifices that individuals and groups must make in order to engage in this struggle. In my commentary here, I explored how Camus took a very unconventional approach to the very old subject of sacrifice for the good of others, altruism, compassion, etc. I could simply contrast this approach to traditional thinking. However, when I think about a novelist whose work has come to embody the championing of these better aspects of human nature, if only in a different way, I think of none other then Charles Dickens. As I ruminated in my previous post on the work, Camus’s novel vigorously advocates human exertion in the name of helping to ameliorate suffering and pain. In fact, I think that The Plague can be viewed as an argument that this form of altruism is the key to finding meaning in life. Acting in such a way may be the only thing that makes any sense in a malign universe. Dickens’s stories also commonly exemplify sacrifice, charity and compassion for others. Again and again, aid to the sick, the poor and the distressed is extolled as extremely virtuous and noble. Dickens’s look at this form of righteousness is more or less the traditional view and is similar to the thinking that runs throughout many of the world’s religions, philosophies and cultures. Instances in Dickens’s writing are so numerous and well known that it is almost unnecessary to provide examples. For instance, the plot of A Tale of Two Cities hinges in Sydney Carton’s sacrifice of his own life to save Charles Darnay. In doing so, he finds the ultimate meaning to his existence. Ebenezer Scrooge is, of course, our society’s poster boy for the degenerating effects of selfishness and the redemptive powers of bestowing charity. Almost any Dickens work will provide additional examples. When it comes to finding purpose in life through alleviating human misery, both authors have reached the very same endpoint. However, both have arrived at this destination by following very different routes. Camus approaches the problem from a view of a universe where there is either no God or, if there is a God, he is one who plays no part in day-to-day human affairs and who has created a reality where justice does not exist. Though I believe Dickens sees the world through a Christian belief system, oddly enough, his realities behave in ways very similar to that of the reality seen in The Plague. Although justice is often served and there are happy endings, at other times very bad things happen to innocent and good people. Often, chaos runs free in the world unchecked with no end in site. When good does triumph, it usually does so through the good actions of people. But the two authors’ views on these matters are also very different, even diametrically opposed, in many ways. Dickens can be described as a super sentimentalist. He throws gallons of emotion both at his depictions of human suffering as well as at corresponding altruistic action and sacrifice. His works are full of famous, powerful and affecting death scenes. In contrast, Camus rejects all sentimentality. As I pointed out in my first post, he sees altruism as a rational response to an irrational world. He views good works as simply a sensible reaction to an insensible universe. There is indeed a terrible death scene in The Plague, during which a young boy who is stricken with the plague dies an excruciating death. Although the passage is extremely disturbing, it is grim, clinical and unsentimental. In the small face, rigid as a mask of grayish clay, slowly the lips parted and from them rose a long, incessant scream, hardly varying with his respiration, and filling the ward with a fierce, indignant protest, so little childish that it seemed like a collective voice issuing from all the sufferers there. Compare this to Dickens’s description of the death of the orphan Johnny in Our Mutual Friend. As Johnny dies, he thinks of Bella, “the boffor lady” who has been kind to him. I must admit that in contrast to Camus’s passage of horror, Dickens seems laughably melodramatic here. Dickens also throws copious accolades upon those who perpetuate good acts. After Sydney Carton’s sacrifice, Darnay, Darnay’s wife and Darnay’s descendants all remember him with gratitude and tributes for generations. The essential thing was to save the greatest possible number of persons from dying and being doomed to unending separation. And to do this there was only one resource: to fight the plague. There was nothing admirable about this attitude; it was merely logical. Thus, good works are not just rational, but they are already more common than we tend to think. Dickens also extolled individual action. His heroes and heroines more usually act alone in their attempts at making the world better. Once again Sydney Carton is a good example of this, as he acts on his own and even in secret when he sacrifices his life to save Darnay. Of course Scrooge also acts almost entirely as an individual after his redemption. In contrast, Camus strongly exhorts people to band together in groups in order to alleviate human pain. He seems to reject extreme government forms of societal organization such as communism. Instead, he seems to contend that people are most effective when they voluntarily join together. Officialdom can never cope with something really catastrophic. And the remedial measures they think up are hardly adequate for a common cold. If we let them carry on like this they’ll soon be dead, and so shall we…I’ve drawn up a plan for voluntary groups of helpers. Get me empowered to try out my plan, and then let’s sidetrack officialdom. Without a doubt, Dickens’s views on these matters are more popular. Though he is over-the-top in his use of sentiment at times, I am more partial to his approach. I do think that I understand what Camus was saying, and I believe that it follows a logical process; however, it seems that it does not reflect the reality of human nature. Dickens extolled warm and strong emotions as the primary driver of altruism. I would argue that Dickens understands human behavior better. People need sentimentality, enthusiasm and energy in order to fight against the misery and injustice inherent in the Universe. 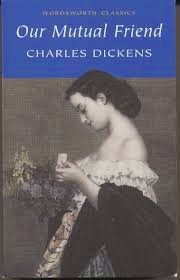 While I find Camus’s view a fascinating intellectual exercise, ironically, Dickens’s approach seems much more practical. Hand in hand with this idea is the fact that strong positive emotions surrounding self-sacrifice make the pain of such sacrifice a bit less painful, thus alleviating suffering in and of itself. At the end of my little intellectual foray, I humorously thought about what The Plague would have been like if Dickens had written it. I can imagine the book retaining the same basic plot. The theme of self-sacrifice in order to assuage the suffering and loss to others could likewise remain intact. Putting aside the different way in which he would portray characters, I think that Dickens’s version of the book would include one or more tearful and extremely overemotional death scenes that would almost descend into parody. Dr. Rieux and the volunteers who assisted others during the crisis would be memorialized with homages consisting of a generous heaping of laudatory prose from both the other characters as well as the author. It may seem a bit odd to compare these two writers. I set out to show that are major similarities, at least in the way both look at issues relating to life’s meaning and purpose. For me, the fact that these commonalities exist makes the differences all the more interesting. 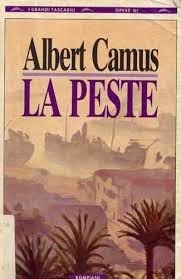 Thanks to both Emma of Book Around the Corner and Guy of His Futile Preoccupations for choosing The Plague or La Peste in its original French, by Albert Camus as one of my Bah-Humbook holiday book selections. Though I have read this work several years ago, this is the kind of novel that bears rereading. I am very happy that they picked this work and I am very happy that I read it again. I loved this book. The plot was riveting, and the ideas bubbled up like soup in a caldron. Camus’s writing style, at least in the translation by Stuart Gilbert that I read, is sparse but so much so that it is original. Though often a grim narrative, I highly recommend this book for anyone who loves ideas and who is intellectually adventurous. The story takes place in Oran, then part of French Algeria. As the narrative unfolds, Bubonic Plague breaks out and spreads throughout the city. As the epidemic worsens, the authorities impose emergency measures. As part of the decrees, the city is sealed off and quarantined. Eventually, hundreds begin to die on a daily basis. The citizens of Oran experience enormous suffering and hardship. As it becomes imperative that the sick are cared for, the dead are disposed of and other remedial services are to be performed, many people decide to ban together, at great personal risk, as they attempt to fight the malady. The tale is told from the point of view of an initially unknown narrator who is eventually revealed as one of the main characters. Several of the city’s inhabitants figure prominently in the narrative. Dr. Bernard Rieux fights against the plague and is involved with both Oran’s authorities as well as many of the stricken. Jean Tarrou, a man dedicated to fighting human suffering and cruelty, organizes the citizens of Oran to combat the malady. Joseph Grand is a government bureaucrat whose life is initially somewhat aimless, but he rises to the occasion when the time comes for sacrifice in battling the scourge. The mysterious Cottard is initially suicidal, but eventually comes to profit from the epidemic. Many additional characters figure prominently in the story. Having read somewhat extensive commentary on both the novel and Camus’s life and philosophy subsequent to my first reading, I believe that the basic themes of the story are relatively transparent. Thus, in another post I want to come at this work from what I believe to be an unorthodox angle. 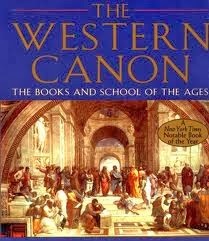 I first must summarize what I think are the basic points of the book as well as express some opinions about Camus views. Camus, through various writings, developed a somewhat extensive belief system. Though many classify him as an existentialist, he actually rejected that label. Nonetheless, many compare him and his ideas to existentialist thinkers and their theories. Instead of trying to analyze this book in direct context with existentialist thought systems, I think that one can extract some basic, easy to grasp ideas from this work. Eventually, in what will be my second entry on this novel, I do want to compare the thought system espoused in this book to those of another author. Though there is a lot of complexity and nuance here, it seems that Camus was attempting to communicate three basic ideas. First, we live in a universe that is completely arbitrary. Very bad things happen to people with no rhyme or reason. There is no justice, no right, no wrong, no punishment or rewards built into reality. These terrible truths are absurd (okay, the entire “absurd” thing begins to get into existentialist thinking and theories, I just cannot avoid that term when summarizing these ideas). The arbitrary and nasty nature of the universe is displayed throughout this work. There are many examples. The absolute injustice behind human suffering is brought to a head when a young boy, who everyone recognizes as innocent, experiences an extremely agonizing, terrible and meaningless death. Secondly, at the bottom of it all, the thing that we most value in human life is our personal relationships. The greatest source of suffering in this world occurs when these relationships are damaged and broken, be it through death or just by interpersonal distance or turmoil. When the city of Oran is quarantined without warning, family, friends and loved ones are separated for long periods of time. Throughout the book, these separations are examined and shown to result in the greatest hardships and pain. The sufferings caused by these disunions almost seem more severe than the suffering caused by the plague itself. One of the most striking consequences of the closing of the gates was, in fact, this sudden deprivation befalling people who were completely unprepared for it. Mothers and children, lovers, husbands and wives, who had a few days previously taken it for granted that their parting would be a short one, who had kissed one another good-by on the platform and exchanged a few trivial remarks, sure as they were of seeing one another again after a few days or, at most, a few weeks, duped by our blind human faith in the near future and little if at all diverted from their normal interests by this leave-taking— all these people found themselves, without the least warning, hopelessly cut off, prevented from seeing one another again, or even communicating with one another. Finally, perhaps most importantly, Camus does offer a strong and unequivocal response to an uncaring, unjust and absurd universe that does terrible things to our human connections. Clearly, the most important and meaningful thing that people can do with their lives is to help other people in relieving pain and suffering and to oppose human cruelty. At times, the author seems to portray life as a battle between a capricious world and the acts of altruism by well-intentioned people. At its core, this book is a call to action against suffering and death. And Tarrou, Rieux, and their friends might give one answer or another, but its conclusion was always the same, their certitude that a fight must be put up, in this way or that, and there must be no bowing down. The essential thing was to save the greatest possible number of persons from dying and being doomed to unending separation. And to do this there was only one resource: to fight the plague. There was nothing admirable about this attitude; it was merely logical. There is very little romanticism in this book. To combat human distress is simply the only logical thing to do. These points seem to me to be the building blocks of the ideas that this novel is built upon. Over the course of the story, Camus plays upon and refines these ideas. There is a lot more than I can cover in my summary. For one thing, I am grossly oversimplifying the thought system presented here. There is also a lot that I have not touched upon, including ruminations upon the flawed nature of human relationships or Christianity in an absurd world, to just name a few. I am with Camus on many of these issues. His view of the universe, that of a place where arbitrary and terrible things happen to the guilty and innocent alike, I think is accurate. His emphasis on human relationships seems to me obviously true. Finally, making the world better through the alleviation of suffering as the one primary reason for existence seems unarguable. His lack of sentimentality regarding such purpose does seem a bit odd to me and I intend to explore this further in my next post. These ideas are relatively well known, and they have been written and talked about extensively. Thus, I plan to come at Camus’s ideas from a slightly unconventional direction in my next entry on this novel. Up until recently, I was aware that there existed a number of critical approaches to analyzing literature. However, my understanding of the subject was at best, sketchy. I had gained a fair amount of knowledge concerning only couple of them. I knew a little bit about the conflicts that adherents of particular approaches engaged in. However, I had no unified, coherent understanding about these techniques, or how they related to one another. As I have become recently interested in the subject, I decided that it was time for a primer on the topic. 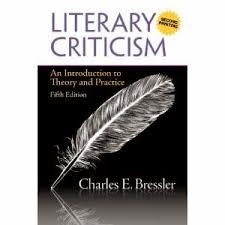 I recently read Charles Bressler’s Literary Criticism. Though this work is used as a kind of textbook in many introductory literature and humanities classes, the book is extremely readable and presents all of the major critical systems, as well as some important subsystems. Bressler’s summaries are understandable, even when technical. The book presents the reader with a clear and concise overview that includes the history as well as examples of each of these methods. In addition, Bressler chronicles the history of literary criticism from Plato on down to the present day. Not only did I find this text interesting, but I also found exploring the various approaches to be fun. I also spent a fair amount of time reading online articles and opinions relating to the various schools in order to round out my introduction. Finally, I reread various essays and book chapters written by Harold Bloom on this subject. I tried to reach a level where I could at least articulate the basics of the various critical approaches and sub approaches. New Criticism, Constructionism, Deconstructionism, Reader-response criticism, Feminist Criticism, New Humanist Criticism, African - American Criticism and Psychoanalytic literary criticism are just a few examples. Blogging about books is not the same thing as practicing academic literary criticism. Instead, both my fellow bloggers and myself are simply discussing books. With that said, much of the discussions that occur on our blogs involve elements of literary criticism. We often try to analyze meanings, themes, characters, etc. Of course, most of us do not claim to be attempting to write professionally, academically or even in a formal structure. Yet, anyone familiar with even a few of the book blogs out there will find elements of most of the approaches ingrained in our posts and discussions. Furthermore, I find these various methods, even when I disagree with them, fascinating. Understanding the various approaches, the histories and theories behind them, as well as their methodologies, is just another piece of the puzzle to understanding art and aesthetics. I will not go into much detail concerning most of the schools. There is a lot of complexity and nuance, and my understanding is rudimentary at best. Some of the philosophies behind these methods are radically different from one another. Personally, it turns out that in my thinking and writing about literature, I often parallel aspects of several approaches. I am very partial to a Holistic strategy, where aspects of several methods are employed. I strongly question the value of a few of the schools, particularly Deconstructionism. At the risk of oversimplifying this method, adherents would look for the basic themes and symbols used in the text. Since, according to the theory, all concepts are subjective, the analysis would proceed by elevating themes that would traditionally be considered inferior or negative, to the level of the superior or the positive. Thus, a Deconstructive reading of Charles Dickens’s A Christmas Carol might begin by interpreting the story as being in favor of hard work and frugality and critical of charity, leisure, etc. All sorts of variations in between the traditional interpretation of the story and this alternate interpretation could next be explored. I have doubts if this approach in any way moves us anywhere near to understanding art, ideas or the work itself. There is a lot of controversy surrounding several of the approaches, particularly the Feminist and Cultural Studies schools, such as the Post Colonial and the African American approaches. I believe that these approaches are useful when examining texts whose themes directly involve their subjects. Thus, a Feminist reading of Christine de Pizan’s The Book of the City Of Ladies or William Shakespeare’s The Taming of The Shrew makes perfect sense to me as one way to examine these texts. When such approaches are applied to all literary works, even those whose do not have related themes, these methodologies also seem to have value in terms of examining their respective subjects. Thus, if one wanted to consider or discuss the role of women in 16th century Europe, a Feminist analysis of just about any work written in 16th century Europe can be fruitful. However, these approaches seem ill equipped to understand and examine the works themselves if the themes of the work do not directly touch upon their subjects. For instance, Bressler presents a Feminist analysis of Washington Irving’s Rip Van Winkle. I believe such analysis can be useful and interesting when examining gender related issues and the role and views of women when the story was written. However, in terms of understanding and appreciating this work, such an analysis seems, to me, unenlightening. Some adherents of these schools would argue the contrary, however. I must mention that there is a school of thought that rejects many of these approaches outright. In several of his books, but particularly in his The Western Canon: The Books and School of the Ages, Harold Bloom is highly critical of most of these systems. Bloom is very opinioned, as well as curmudgeonly, however I find his reasoning thought - provoking, even when I do not entirely agree with him. I will likely not read much more on the theory and methods of literary criticism, as there is too much great literature itself out there waiting to be read. However, I do want to read Northrop Frye’s Anatomy of Criticism. Afterward, I will likely leave this subject be. I am glad that I did spend a week or so exploring some of the basics, however. In a small way, at least, it will make me a better reader and help me to understand the world a bit more. 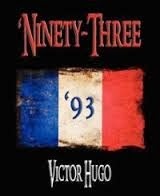 Thanks to both Emma of Book Around the Corner and Guy of His Futile Preoccupations for choosing Ninety - Three by Victor Hugo as one of my Bah-Humbook choices for 2013. I read the Frank Lee Benedict translation. Hugo’s work takes places during the French Revolution. Most of the narrative concerns itself with the antirevolutionary, pro-royalist rebellion that occurred in the region of Vendee, and with the revolutionary government’s attempt to suppress it. This was a real historical event. Though not Hugo’s most famous work, the novel is a strong artistic entry to the author’s catalogue. Various characters, both the entirely fictional as well as the real historical personages, populate this novel. In telling his tale, Hugo presents us with an interesting cast of players. Marquis de Lantenac is a Royalist nobleman organizing the forces of Vendee. Though he orders executions and outright atrocities, Lantenac shows some positive character traits and eventually rescues three children from imminent death at great sacrifice to himself. Gauvain is the Republican General who fights the war honorably and humanely. Unusual in this conflict, he treats prisoners decently and eschews executions. Cimourdain is the fanatical revolutionary ex-priest who is Gauvain’s former teacher and beloved father figure. His cruel treatment of Royalist prisoners eventually puts him somewhat at odds with Gauvain. Michelle Fléchard is a peasant woman who is left for dead after a massacre propagated by Royalist forces. She spends most of the narrative attempting to locate her three children, who are being held hostage by the Royalists. Tellemarch is a bagger who is wise, righteous and moral. Though he refuses to take sides in the conflict, he shows mercy to Lantenac while the Royalist is on the run, but later decries his cruel actions. Several real historical figures, such as Maximilien Robespierre, Georges Danton and Jean-Paul Marat are also depicted in the book. Most of these characters, with the exception of Michelle, often pontificate at length on various political, social and moral philosophies. In this caldron, where terror bubbled, progress fermented. Out or this chaos of shadow, this tumultuous flight of clouds, spread immense rays of light parallel to the eternal laws. Rays that have remained on the horizon, visible forever in the heaven of the peoples, and which are, one, Justice ; another, Tolerance ; another, Goodness ; another, Right ; another, Truth ; another, Love. As with such books, there is a lot going on here. Though Hugo does take the side of the Revolutionaries, he seems to be ultimately disgusted by the excesses of both factions; war, the executions that characterized the period and the ensuing political intrigues, and shown to be a form of irrationality. This is illustrated in a passage when Michelle’s children destroy a literary treasure in a spate of play – hostility that parallels the actions of the adults in the novel. This rejection of warfare and strife seems to go hand in hand with an embracing of the innate goodness in people as well as the beauty of the natural world. A clue as to what Hugo seems to value in life can be found in the below description of Tellemarch, as well as in the masses’ reaction to the beggar. They did not like Tellemarch. Tellemarch the Caimand was a puzzling man. Why was he always studying the sky? What was he doing and what was he thinking in his long hours of stillness? Yes, indeed, he was odd ! In this district in full warfare, in full conflagration, in high tumult ; where all men had only one business devastation and one work carnage; where whosoever could burned a house, cut the throats of a family, massacred an outpost, sacked a village; where nobody thought of any thing but laying ambushes for one another, drawing one another into snares, killing one another this solitary, absorbed in nature, as if submerged in the immense peacefulness of its beauties, gathering herbs and plants, occupied solely with the flowers, the birds, and the stars, was evidently a dangerous man. Plainly he was not in possession of his reason; he did not lie in wait behind thickets; he did not fire a shot at any one. Hence he created a certain dread about him. Peaceful contemplation and harmony with nature, though scorned by the masses, is offered as a positive and healthy contrast to war and cruelty both in the above passage and elsewhere. Later, the primal maternal nature of Michelle is analyzed and eventually extolled. Maternity is inexplicable; you can not argue with it. That it is which renders a mother sublime ; she becomes unreasoning ; the maternal instinct is divinely animal. The mother is no longer a woman, she is a wild creature. Her children are her cubs. Hence in the mother there is something at once inferior and superior to argument. A mother has an unerring instinct. The immense mysterious Will of creation is within her and guides her. Hers is a blindness superhumanly enlightened. Hugo seems to be pointing to an underlying, naturalist drive and virtue in people. There is something very basic in all of this. Eventually, Gauvain eloquently lays out his vision of an ideal society, melding the ideals of the revolution buttressed with strong naturalistic and humane values. Hugo’s depiction of such human strife is more complex than I have been able to capture in this post. Though much of the narrative bemoans war and brutality, Gauvain, who I think speaks for Hugo, indicates that such ills may be an intermediate step to a society where peaceful, protective and nature-orientated tendencies predominate. There is a lot more to ponder here in terms of philosophy, character and aesthetics. A huge portion of this work is dedicated to descriptions. As he does elsewhere, Hugo devotes many pages to tangents involving such issues as military strategy, perils of the sea, French geography etc. Hugo’s unorthodox writing style is worthy of study in and of itself, and any comprehensive discussion would need to include his other works. The numerous action sequences are innovatively spelled out and gripping. This novel is full of important themes interesting characters. As it is unexpectedly filled with of all sorts of engaging action, it is also fun to read. This is a recommended novel, especially if one has enjoyed Hugo’s better - known works.